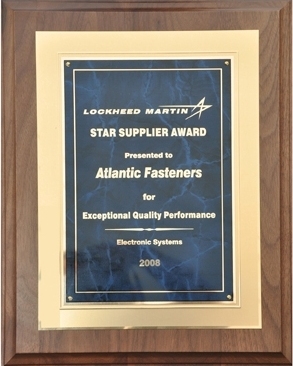 Atlantic Fasteners Aerospace was a 2008 recipient of the Lockheed STAR Supplier Award. 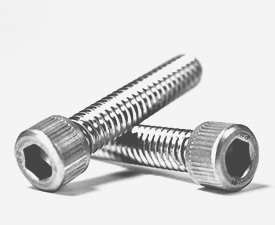 When you buy from Atlantic Fasteners Aerospace, you can expect the highest standard of service and quality as demonstrated by our awards. Lockheed Martin’s Electronic Systems division chose us for a STAR Supplier Award after we met their rigorous 12-month quality, delivery and other business requirements. 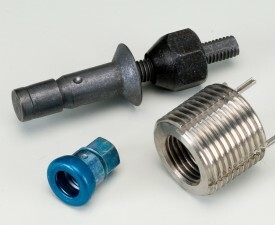 Less than 1% of Lockheed’s 4,625 suppliers earned the honor for that year. We’re also a two-time recipient of the Defense Supply Center of Richmond Virginia’s Gold Medalist Supplier award for on-time delivery and unblemished quality over a one year span.